Maintain your ski and snowboard gear. Ok, we’re getting a bit ahead of ourselves there, but your snow sports gear are just as good as how well you maintain them. You’ll need to wash your outerwear the correct way, wax and tune your skis/snowboard, and store everything in the right place to make the most out of your ski season gear. Let the fun begin! 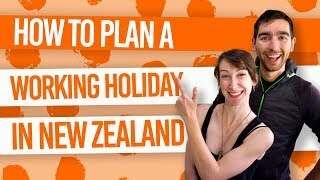 Plus, if you’re wondering where to buy snow sports hear from in New Zealand, check out Where to Buy Cheap Ski and Snowboard Gear in New Zealand. Are you ready to take on the New Zealand mountains? Find out by ticking these off your checklist. Lift pass: lift passes in New Zealand come in the form of season passes (which you can get at a heavily discounted price if you buy early), multi-day passes, and day passes. Bus pass: if you don’t have your own transport, you can head up the mountain on the buses running between major ski fields and nearby towns. You can buy day passes or buy in bulk to get a discount. Snow chains: are your snow chains in your car, and do you know how to fit them? Snow sports clothing: are your ski jacket, salopettes (ski pants) and gloves still waterproof after the last winter season? Check out how to keep them that way below. Skis or snowboard: check out how to maintain your equipment below. Find out more about the New Zealand ski field experience here. Sooner or later, your gloves, salopettes and ski jacket will need a wash, especially after a couple of week-long holidays or even part way through the season. However, just throwing them into the washing machine and hoping for the best will destroy your outerwear by removing the water repellent qualities. Basically, your snow sports clothing will become as useful as a chocolate fireguard. To protect your waterproof snow gear when washing them, first put your washing machine on a rinse cycle with no clothing to get rid of any detergent hanging around from previous washes. Next, wash your gear with some waterproofing wash-in cleaner – brands that you will find in the New Zealand outdoor shops, such as Torpedo7, Macpac and Kathmandu, are NIKWAX and Revivex. Set the washing machine settings as per the clothing label instructions and set to a gentle cycle. You can tumble dry on a low setting or air dry. To revitalise the durable water repellency of your outerwear, use waterproofing spray once you have washed them. Try to not wash your gear too frequently – twice a season should be good unless you end up in some sort of mucky situation. Skis and snowboards are your most valuable gear in your snow sports arsenal. It’s all well and good having your new skis or board from brands promising the best performance, but this performance will diminish if you do not maintain your equipment. Maintaining your gear might not feel as important if you are buying an ex-rental for temporary use, for example. After all, this is a cheaper option for equipping yourself for the ski season, and allows you to be more flexible for travel after the winter season when you can happily get rid of your ski/board. Nonetheless, cheap secondhand gear doesn’t compare to your own equipment, so you will want to keep it well-tuned to get the best performance out of it. Waxing and tuning your gear refers to maintaining the base and edges of your ski/snowboard. A base in good condition means you will glide more consistently over the snow and you can catch more speed on the flatter parts of the mountain. Having sharp burr-free edges – in other words, metal with no bumps – gives you more control when turning and stopping. How often you get your equipment tuned really depends how often you use and abuse it. If your skis/board hits the rails regularly or goes over a few rocks – that can well happen in New Zealand – then you might want to get it professionally tuned after a couple of weeks (see last section). On the other hand, if you’re casually riding a couple of days a week, a wax and edge tuning should be enough. The best judge is you by asking yourself how does your skis/board feel now compared to when it was new/newly tuned? If you simply cannot be bothered waxing and tuning your equipment yourself, then no worries, professionals can do it for you. Sometimes, it’s actually better to get your gear tuned professionally. When your skis/board has taken a battering on the slopes leaving the base scratched and the edges disgustingly burred, then taking your gear to a snow sports shop is worth it to get your riding going smoothly again. Generally, shops and tuning services will be able to fill in scratches with Ptex and use specialised machines like belt grinders for the base. The edges can be sharpened to your preferred degree and the base waxed to perfection. Ask in a snow sports or rental shop whether they do tuning. (Stores like Torpedo7, found in Wanaka, Queenstown and Taupo, specialise in these services). Otherwise, many ski fields around New Zealand have tuning services on the mountain. 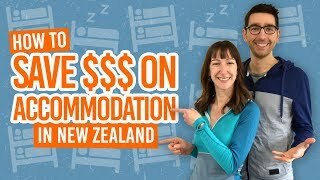 Prices vary between NZ$10 and NZ$40 depending on the level of tuning. Small touch-ups are cheaper going up to a full performance tuning on the higher end of the price scale. The end of the winter season is a difficult time for most ski bums. But to keep your equipment in tip top shape for next year, remember to store them in a cool dry place to reduce rust or de-lamination. Places to avoid are those with uncontrolled temperature and air flow, such as a garage, shed, attic and basement.